Download and print Aunt Annie's patterns for Paper Charms and Gift Tags on paper. 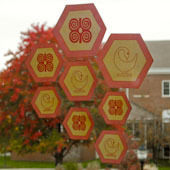 Apply wax, then use the shapes as window clings, gift wrap charms, or fancy gift tags. 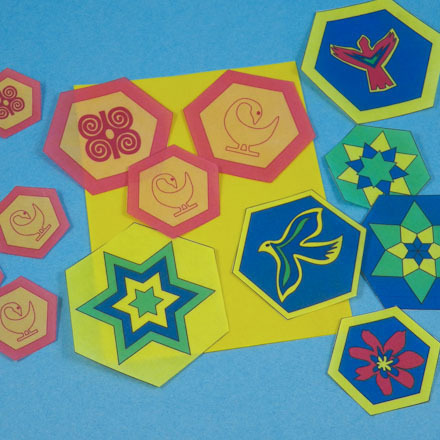 Go beyond the printable papers and make charms of your own design. You can punch or cut custom waxed paper in small shapes to make charms for greeting cards, gift tags, or as gift wrap additions. Use a needle and thread to string several charms together. 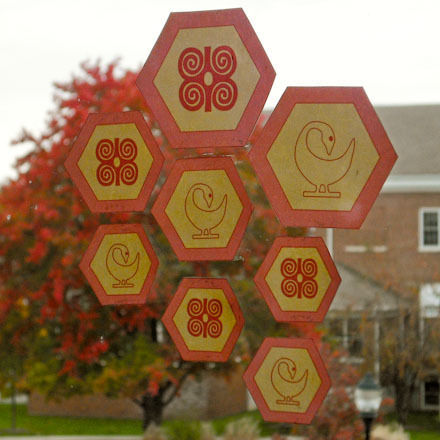 See the sidebar for window cling ideas and how to use waxed paper in your paper crafts. Follow the instructions in the Waxing Paper craft project for how to wax paper. See the Waxing Paper project for more waxed paper ideas! That's it! How will you use the waxed charms and gift tags? Tip: Make window clings by waxing printed designs and applying temporary or repositionable adhesive to the back. Simple, bordered shapes with high-contrast designs work best! 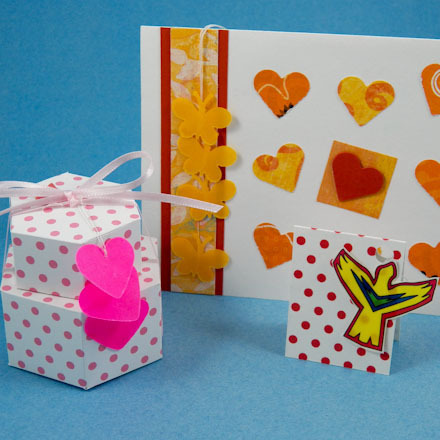 Tip: Waxed paper can be used in many paper crafts. 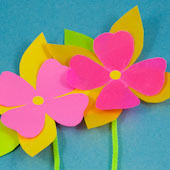 Make Paper Flowers with handmade waxed paper. Compare the translucent look of the flower made with waxed paper on the right to the plain paper flower on the left.